Six states collect a state inheritance tax as of 2018, and one of them—Maryland—collects an estate tax as well. These taxes are known as "death taxes." At first glance, the difference between an estate tax and an inheritance tax may appear to just be semantics. Both are collected as the result of someone's death, but an inheritance tax is based on an individual bequest of property—literally each inheritance. An estate tax is assessed against the overall value of a decedent's estate, all gifts made to all beneficiaries. A decedent's estate is responsible for paying the estate tax, whereas the beneficiary is liable for the inheritance tax. Often, however, the estate will pick up the tab. Some people include provisions for this in their wills to spare their beneficiaries this tax burden. Fourteen states and the District of Columbia collect a state estate tax as of 2018. The federal government also has an estate tax, but it does not collect an inheritance tax. Surviving spouses are exempt in all six states that collect an inheritance tax. New Jersey also exempts surviving registered as civil union or domestic partners. Beyond that, however, things get more complicated. In some states, such as Kentucky, sons, daughters, and parents are exempt from this tax as well. They typically pay the lowest inheritance tax rate in states where they're not exempt, and they're given more generous dollar exemptions—certain amounts they can inherit before the tax is levied on the balance. 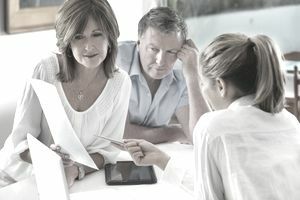 Life insurance payable to a named beneficiary is not typically subject to an inheritance tax, although life insurance payable to the deceased person or to his estate is usually subject to an estate tax. Push to Repeal State "Death Taxes"
Both state estate taxes and state inheritance taxes have been on the chopping block lately. Ohio's estate tax was repealed effective January 1, 2013. Tennessee's estate tax was repealed effective January 1, 2016, and Indiana's inheritance tax, which was supposed to be phased out by January 1, 2022, ended up being retroactively repealed to January 1, 2013. New Jersey also eliminated tax on estates of decedents who passed away after January 1, 2018, although its inheritance tax is still in place. Initiatives were floated to repeal Nebraska's inheritance tax and North Carolina's estate tax in 2012, but nothing happened on this front in Nebraska. North Carolina's estate tax was ultimately repealed in July 2013. On November 6, 2012, Ballot Measure 84, which would have repealed Oregon's estate tax by January 1, 2016, was defeated by a margin of 54 percent in favor of keeping the estate tax vs. 46 percent in favor of getting rid of it. Below is a chart that summarizes the details of the current laws that govern inheritance taxes in the six states that collect them. Descendants include children and grandchildren. The lowest tax rates apply to the most closely related non-exempt family members. Unrelated individuals and other entities are typically subject to the highest rates, although charitable organizations are typically exempt. * Iowa does not levy an inheritance tax in cases where the decedent's entire net estate is valued at $25,000 or less. ** Maryland does not impose an inheritance tax on beneficiaries of simplified estates with total probate property values of less than $30,000. Who Needs to Pay Federal Estate Taxes?